Creed - blending calving ease, growth & maternal excellence! � Backed by multiple generations of proven cows in the Arntzen herd - genetics designed to be efficient and long-lasting. � With added shape & and outcross pedigree, Creed will create hard-working cattle for all segments of the industry. 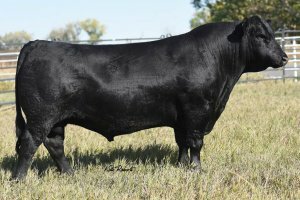 � The first progeny weaned at Arntzen Angus Ranch are standouts.